Discounted Tour & Transfer Package! Thanks again for the trip of a lifetime! (...) food in Australia is amazing!! 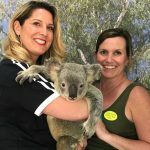 I would recommend About Australia to anyone who plans on going Down Under! (...) less than stellar activity more than once. The accommodations and flights were top notch and I would highly recommend using About Australia to book for you. Sun-Kissed Beaches, Urban Delights and World-Renowned Landmarks…. the Best of Australia’s Icons in One Trip! We know the secret to a longer life. It’s found in the promise of unique experiences in a foreign country. It’s found in the exciting challenges of navigating a place you’ve never traveled before. Studies repeatedly show that travel can lead to a longer life and, in fact, seem to slow down time. And what better way to live a longer life than a trip exploring the incredible contrasts of Australia? When you travel Down Under, you’re traveling through a perfect blend of sun-kissed beaches and world-class cities. The vibrancy emanating from these cities, metropolitan paradises with coastal splendors tucked within, is a uniquely Australian vibe found nowhere else in the world. A vibe most only dream about experiencing. Start living the dream and experience the best of Australia with our Melbourne, Great Barrier Reef & Sydney Vacation! Begin your vacation in Melbourne, Australia’s undisputed cool kid. Here, enjoying the finer things in life is not reserved for a special occasion – it’s simply the way of life. A passion for all things art, music and food touches every corner of the city – even the coffee is blended with an artful flourish that will raise your standards to an unparalleled level. You’ll spend 3 nights in a 4-star apartment-style hotel located in the heart of the city. There’s an unmistakably European feel about the city, with a whole world of vibrant cafes, restaurants, coffee shops and bars tucked within its central laneways. Discover the best of these hidden gems on an optional indulgent foodie walk, guided by a local in the know of Melbourne’s secret hot spots. You won’t find these treasures in a guide book. Go gallery hopping and explore Melbourne’s art district with a stop at the National Gallery of Victoria. You can easily spend a whole day exploring its impressive collections contemporary art, antiquities from around the world and Australian masterpieces. Visit Phillip Island, where you can meet an array of native Australian wildlife at the Koala Conservation Centre and Seal Rock Centre. Catch the famous Phillip Island Fairy penguins as they return home to their burrows in Summerland Beach on a wonderful penguin parade. Take in Australia’s breathtaking coastal views on the Great Ocean Road. Pass through uninterrupted beaches, coastal towns and incredible rock formations with stops to admire the unique beauty of each spot, all perfect scenes straight out of a postcard. The exciting energy pulsing through Melbourne will captivate the heart of any city lover. You’ll be dreaming of this dynamic city for days to come. From Melbourne you’ll head to Cairns, the gateway to Australia’s tropical north. Here, suits and ties are exchanged for shorts and sunglasses. Days feel like an extended happy hour and lively nights are primed for exploring trendy eateries. You’ll spend 2 nights in a 4.5-star accommodation located in the heart of Cairns, where laid-back vibes and heady tropical atmosphere will instantly put you into holiday mode. The main shopping district, Reef Hotel Casino, Cairns Esplanade and Trinity Harbour are right at your doorstep. And right on Cairns’ doorstep is the Great Barrier Reef, one of the world’s most treasured natural assets. On your free days in Cairns you might like to take an optional excursion out to the reef and explore the otherworldly sights of this underwater wonderland. Discover spectacular coral formations, gliding sea turtles and reef fish glimmering with vibrant colors through the clear waters of the reef. Upgrade your reef adventure with scuba diving excursions – no experience necessary! Not much of a swimmer? Get up close and personal with the reef without getting your hair wet on a helmet dive. Or view the reef from the comfort of a semi-submersible or glass bottom boat and marvel at the aquatic world below the water. No trip to Cairns is complete without seeing the Great Barrier Reef. Don’t miss this must-do on your trip Down Under! You’ve seen glamorous Melbourne and the tropical oasis of Cairns – now get ready for the perfect blend of city and coastal splendor in Sydney. 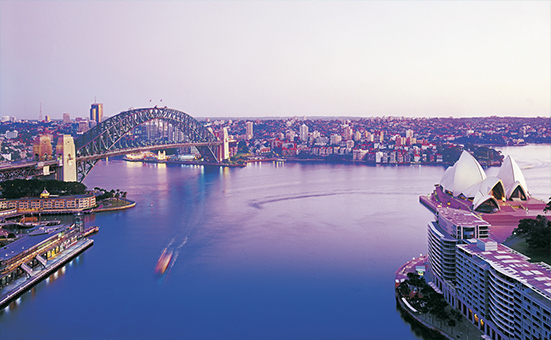 After relaxing in the tropics you’ll head to Sydney, Australia’s famous harbor city. As your plane descends and you catch your first glimpse of the Opera House sails, gleaming against the sparkling harbor, you’ll be absolutely captivated. This sun-kissed city is the envy of harbor cities around the world, framed by unspoiled beaches and iconic cityscapes. You’ll stay 2 nights in a stylish and comfortable accommodation conveniently located between Darling Harbour and the Sydney central business district, the perfect base for exploring the city. Get your hands on a Sydney Harbour Cruise Pass for a hop on hop off cruise along the harbor. When in one of the world’s top harbor cities, a cruise is a must! Stop at sites such as Manly Beach, Taronga Zoo, Luna Park, Circular Quay and much more. Tour the Sydney Opera House and learn about the controversial history of this architectural masterpiece. With six venues beneath its looming sails, there might be a rock concert, opera performance, classical music showcase and a ballet going on all at once! Travel back in time to pre-European settler days and learn about the Aboriginal culture of the region on a tour of the Rocks District. 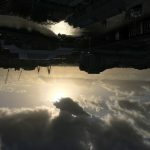 Learn about the Sydney Dreamtime Symbology and living wisdoms tying in Sydney’s landscape to its ancient culture. Take in panoramic views of the city and across the harbor on an exhilarating Sydney Harbour Bridge climb! On this unforgettable climb, you’ll scale all the way to the top of the bridge with an expert guide leading you every step of the way. In Sydney, one moment you can be strolling through towering buildings and bustling lanes, and the next you’ll see a clearing of glistening water stretching into the ocean. However you choose to spend your time in Sydney, we’re sure you’ll want your time Down Under to never end. The best part? You didn’t have to stress out about your trip by planning a single thing. Putting together all the parts of a trip to the other side of the world can be overwhelming. From booking flights and hotels to communicating with shuttle services and tours, making sure everything goes smoothly can be a full-job. Luckily, that is our full-time job! As experts in Australian travel, we put trips like these together all day. From the moment you speak to our Destination Specialists to your plane touching down back home after your vacation, we’ll make sure every aspect of your trip goes without a hitch. Let’s begin your Australian journey today! All prices are in US dollars and correct as of April 2, 2019. Pricing is from “per person” based on Double Occupancy (2 Adults) in hotels. Single Supplements apply. Upgrades available on request (upgrade supplements apply). No refunds allowed. Changes are permitted (fees may apply). Other restrictions may apply. Not combinable with any other offer or discounted vacation package. About Australia reserves the right to adjust the amount of any outstanding balances at any time according to USA Exchange Rate variations. All taxes, GST & Fuel Levies are included in the Price unless specified otherwise. Prices may vary when you book your travel package and are not guaranteed until payment in full is received. Airlines, hotels and tour operators frequently change their prices as a result of rate increases, fuel surcharges, government imposed taxes or fees. Prices may increase prior to full payment for those and/or other reasons. All prices, itineraries and routings are subject to change. After full payment, prices are guaranteed except only due to an increase in government imposed taxes or fees. By paying your deposit, you understand and agree to the possibility of such increases. Flights, where included, will be operated by Qantas, Virgin Australia or their code-share partners; flight Taxes & Fuel levy included; Economy Flight Class of Service. Flights maybe based on Fares which can not be held in advance of purchase, same day ticketing may be required. Visa required additional $15 per person. Starting Price can be found departing the USA select dates May 1 – 14, August 1 – September 26, 2019. All hotels are centrally located, inspected and approved by About Australia. Hotels may be substituted for similar hotels based on availability. Great Barrier Reef Tour: Price does not include transfers, but Marlin Jetty is a very short walk from your hotel. Transfers can be added on request (additional cost). Departure subject to weather conditions. Does not operate on Christmas. This tour may require $20AUD EMC, Port Authority & fuel levy per person per day to be paid at Check-in. Walk Melbourne Foodie Tour: Does not operate on Sundays. Not a great options for small children. Phillip Island Tour: Does Not Operate on Christmas or Public Holidays. Contact About Australia directly to get a firm quote based on current prices for your preferred travel dates.